"Cute shop. I really like the Yellow White Stripes pillow. So bright and cheerful." I've sent you an email. Thanks everyone for entering. I'm not sure if it's summer or what, but I just haven't been feeling the quilting bug lately. I am working on a baby quilt for a friend of mine, but I feel like I have to force my self to work on it. I'll post it soon, it's just about there. 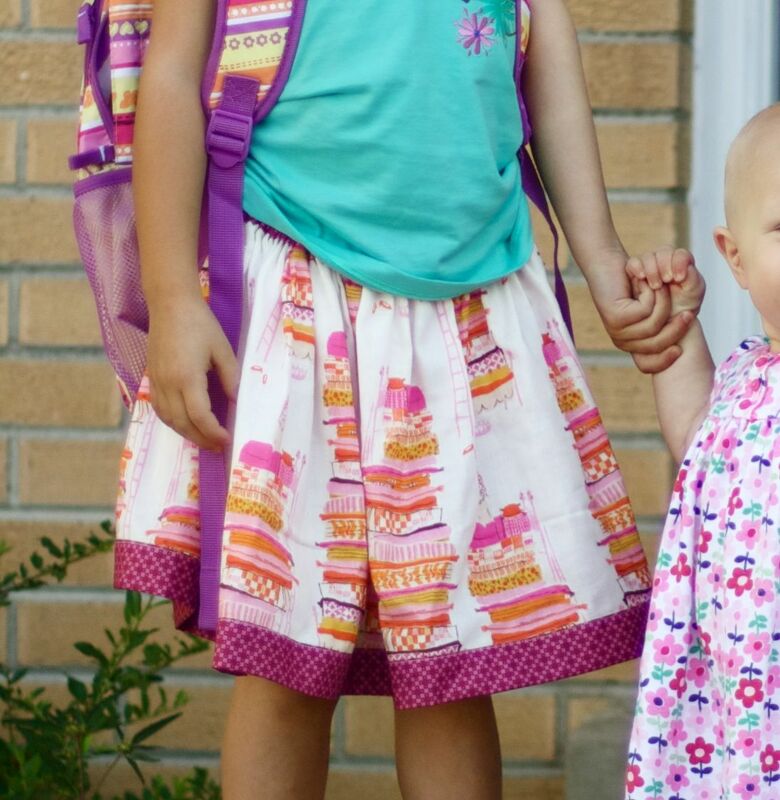 My daughter started school last week (my first), and I knew she wanted to wear a skirt the first day, I offered to buy her one or make one, and she actually chose a handmade one! I was thrilled, and think it turned out really cute. That skirt is so damn cute!! Ahhhh, that skirt could not be any cuter! That skirt is going to be the talk of her class. No little girl could resist! I love the trim you chose too! That's a cute skirt - great for the first day of school. perfect first day of school skirt! and just what I was looking for! I made my little girl a pair of pants but am just not too crazy about them... you've solved my dilemma! thx! So so cute !!! You should make matching shorts for Calvin, and matching bib for your baby for your Christmas card. I'm so jealous that your kids enjoy handmade clothes. Hope it lasts. Miss you! The skirt is adorable. I remember those days sewing for the beginning of the school year. They go by so fast. I LOVE the fabric you've used - especially for the border! never thought of combining the two! 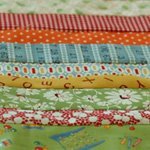 gorgeous, I saved a few metres of princess and the pea and might just have to make my big miss one! has left for a spell. You needed to be sewing on that adorable skirt for your sweetie!! Didn't your heart flutter a little when she chose a 'homemade one'!! So nice, so cute. perfect.